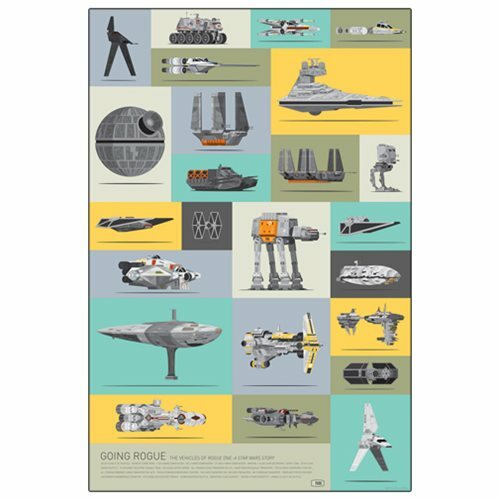 Going Rogue by Scott Park presents a marvelous collection of images of the vehicles seen in Rogue One: A Star Wars Story. From the Death Star and Star Destroyer to shuttles and transports, they're here to amaze and amuse you. The Star Wars Going Rogue by Scott Park Lithograph Art Print is a hand-numbered limited edition of 250 unframed pieces that comes with a certificate of authenticity. It measures 30-inches tall x 20-inches wide and comes rolled and packaged in a cardboard tube.